Have you ever walked into a restaurant and seen wooden tables with pennies or sea shells buried inside of them? Perhaps you have seen a bar that has a high gloss shine on it. One that enables the bartender to slide a glass across without scratching up the finish. You can create the same type of bar or tables for your home. It is not difficult to do. 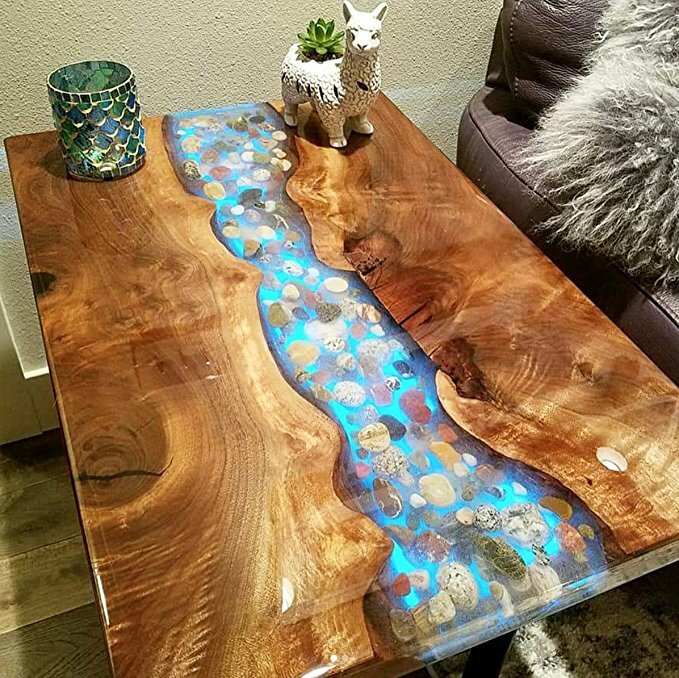 You simply need to create your table and add a little epoxy. Epoxy is formed when you mix resin with hardener. It is also known as a polyepoxide. The two come in liquid form. When mixed together they slowly become a solid that is crystal clear and extremely durable. It is a thermoset plastic that once dried will leave a coating that is typically 1/8” thick along the surface area. This is ideal for protecting wood so that you do not have to worry about water damage or scratches, but it also has many other uses. It can be used as a coating or an adhesive. You can use it to attach items that are decorative to wood or glass and then put a layer of epoxy over it to protect your creative ideas. Although you should consider using grout or some other type of filling as well; it can be used to seal up gaps between wooden slats or over tile so that you can worry less about buildup attaching to the grout. Epoxy is used for a variety of projects. 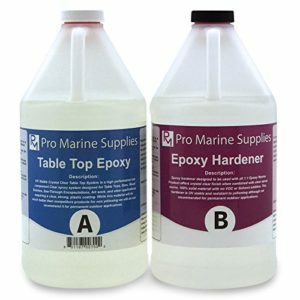 In the past, epoxy was used mostly for boats. It is a great alternative to fiberglass and in ways, it is easier to work with, especially on flat surfaces. However, now it is used for so much more. Some people use it to protect wooden surfaces, they may use it on floors, cement counter tops, decoupage masterpieces, and preserving treasures that they may have acquired over the years. 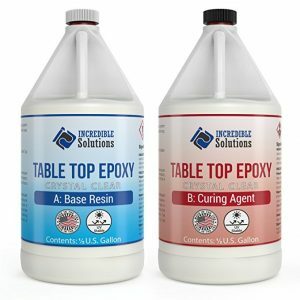 Which Epoxy Should You Use? When buying epoxy, quality will count much more than price. Finding an epoxy that does not bubble up too bad will also be beneficial. If your mixture bubbles, you will need to use a heat source to pop them. 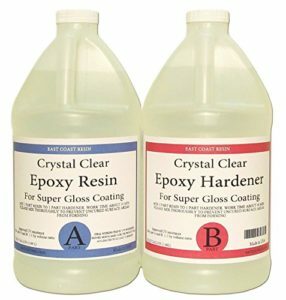 Most people want to find an epoxy that is mixed and poured without them having to do additional steps like eliminating bubbles. You will also want to make sure that once cured it will be clear with very little to no chance of cloudiness or imperfection. Most brands are self-leveling, but you may want to check it to make sure it is able to self-level. This ensures that it will smooth itself out so that you do not have to risk botching the project with a leveler or foam brushes. You should also consider the workable time of the epoxy. Most epoxies will offer 20 to 30 minutes work time, but this could be impacted by the external temperature. You may want to make sure that it is workable for long enough that you can mix and pour it. This one of the most important considerations when using epoxy. Be sure that the brand you are considering is UV resistant. If you use a type of epoxy that does is not UV resistant, you may have to deal with it possibly yellowing over time. Most brands are designed for indoor use. They may turn yellow when exposed to UV rays. 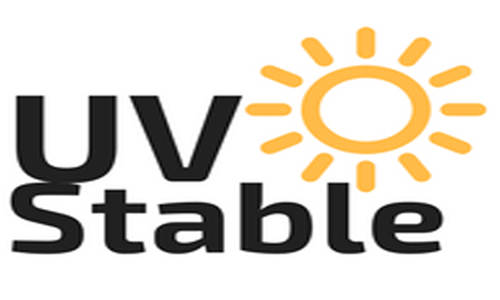 Even if you are creating a table that will never see the outdoors, you will likely still want to make sure it has UV protectant to block the rays that may come in through windows or doorways. Even if your table gets a little sun on it each day; it could still end up turning yellow without UV resistant epoxy. Usually, it is best to apply a very thin layer of epoxy as an initial seal. It is often referred to as flooding. 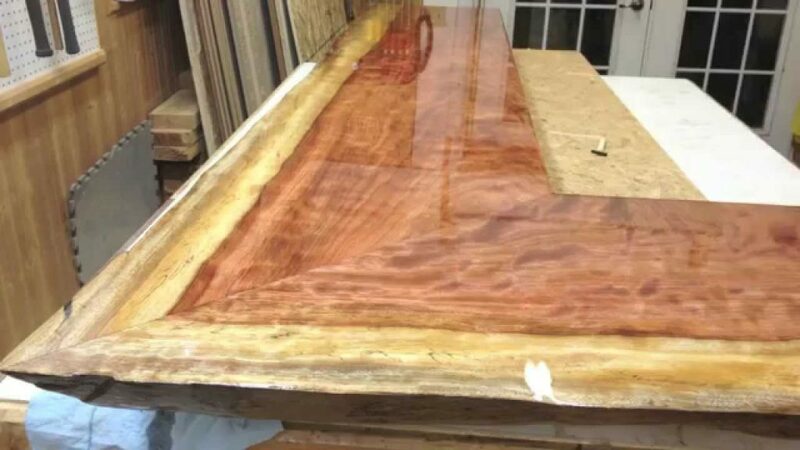 If you apply a very thin layer of epoxy to the wood to seal it before moving on to a thicker coat, you will lessen the likelihood of bubbles forming in the epoxy. To apply this thin layer, you should use a foam brush instead of a paint brush. In small areas, it may work fine to pour a little epoxy onto the surface and allow it to self-level. 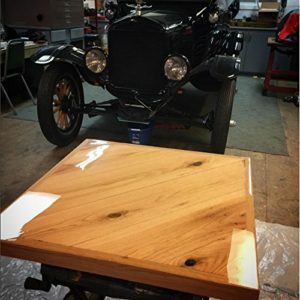 The reason for this initial coating is to prevent air bubbles from appearing as the epoxy soaks into the wood or anything other surface that you may be applying epoxy. Bubbles will clutter your completed project will look. This could cause a project to appear to be cloudy and thrown together. You should wait on the flood coat to dry enough that it is not tacky to touch. Most resin and hardener mixtures are simply mixed and poured. In most cases, you should only mix it for long enough to stir it. This will give you the least amount of bubbles and the maximum amount of time to pour it on the surface area of your project. If you do end up with air bubbles inside the epoxy, you should use a torch or even a blow dryer. This will help the bubbles work their way up and out of the epoxy instead of hardening inside of it where you may never be able to get rid of them. Once poured, the mixture should self-level out slowly. If you have a large surface area, you may opt to speed it up by spreading it out with a trowel or a foam brush. Most epoxies will level out at 1/16” to 1/8”. You should not attempt to spread it thinner. Once it is spread out, leave it alone to dry. If you want a thicker coat, you will need to reapply another layer of it. This should be done after the first layer becomes hardened, but does not require you to wait until it is completely cured. When you look at different brands, you will find that most take only a few hours to become hard to the touch. This is when you will want to add other layers. There are some that may require you to sand or scuff the original layer before pouring future ones, but most all can be applied without scuffing. If you are finished with all layers, you should wait on it to cure for about 24 hours before putting it to use as a table or a bar top. This allows it to be fully cured and virtually impenetrable. Working with wooden countertops and tables is among the easiest. To prep the surface, you may want to use a sander to remove imperfections that you do not want sealed inside. This is also the best time to re-stain it if you have the hopes of changing the wood color slightly while keeping the natural woodgrain look of it. Remove all dust from the surface using a damp cloth. Anytime you work with epoxy, you should expect some run off or dripping. One great idea is tacking a piece of wood around the edge of your surface. It is the best way to ensure you will not have drips. You can also use painters tape to help you slow down the drips. Either option will require removing the tape or wood as soon as the table top mixture begins to harden. For the first coat, you will want to mix up a small amount and pour it, coating the surface area thoroughly, but lightly. This will be the coat that initially seals the surface. Most of the bubbles that are going to form, will form during this time, but if you choose the right epoxy and coat it lightly enough; air bubbles will leave the epoxy before it hardens. You should allow this first layer of epoxy to dry completely over a few hours before adding other layers. Other layers can be thicker, and you should not have to deal with air bubbles developing. If you want a creative idea for your wood surfaces, you can add photographs and other small items before you apply the first layer of epoxy. To do this, you need to plan. 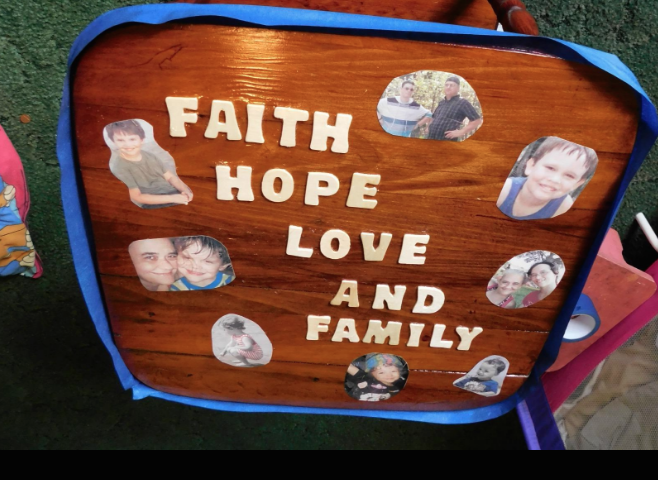 Print out the pictures that you want to add, choose wooden letters, find leaves and flowers that are dried, or anything else that you want to add. Attach them to the wood surface using clear glue. You may want to seal them with glue as well to ensure that they do not add more air bubbles to the surface area. Once the glue and sealant has dried, you can start adding the epoxy using the thin layer and following up with thicker layers. 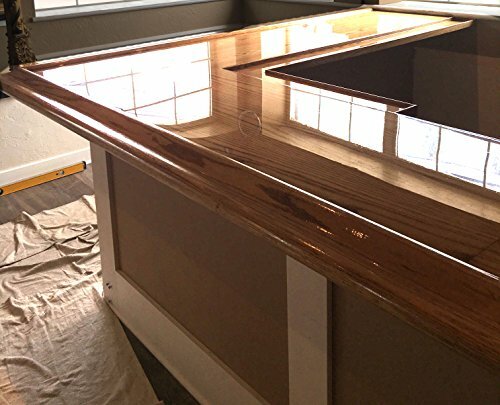 You can create or remake an old bar top using acrylic paints and epoxy. You simply have to choose the design or color, apply your paint, and then epoxy over it using thin layers of epoxy. You can add more layers of epoxy to get the depth desired. The thicker the coating, the more you can do with it. For instance, if you have several layers of epoxy, you can add small LED lights around the edge and it will show up through the epoxy. All that you have to do is add several layers to raise the thickness, and then tack your lights to the side. Your lights should glow throughout the bar top and highlight the wooden texture and designs inlaid inside. Creating a mosaic masterpiece on tables or bar tops is the same as wood or acrylic, but requires a bit more prep work. You simply create the mosaic using tiles, glass, stones or whatever other material desired. Grout should be used to secure the tiles to your surface area. Once it has dried completely and cleaned off the excess grout, you can then mix and pour your epoxy. If you are using large stones or they are in a cut out area of the table top, you will want to pour a slightly heavier first layer to start filling in the sunken areas. However, you will possibly want to use heat, a heat gun or a hair dryer set to the highest heat setting, to pull out the air bubbles or make sure that the room temperature is warm enough to pull bubbles to the surface. 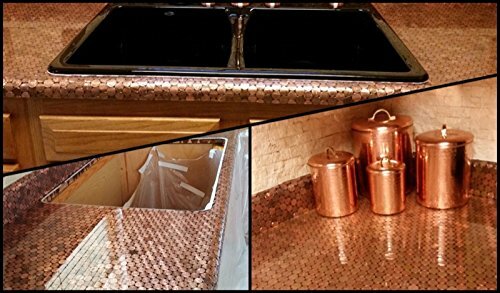 You can also use this same technique to create a mosaic using bottle caps or pennies to create a unique bar top or table top piece. You simply need to attach the bottle caps or other items using glue or grout and then pour on a thin layer so that it coats the top of the items you are encapsulating. You can add sparkle to virtually any surface with glitter. However, in most cases, you may have to deal with flaking over time. 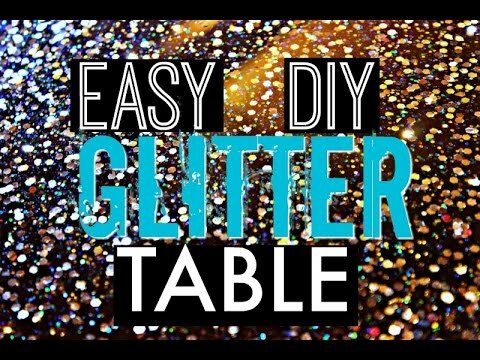 This concern can be eliminated if you cover the glitter with epoxy resin, or better yet mix it into the epoxy to give your table or bar top the ultimate sparkle. If you are going to glitter your counters or table, you have two options. You can mix the glitter into your first light epoxy layer and pour it onto the surface area. Spread it around until it looks the way you want and then let it set. You can also pour and spread the epoxy around, then sprinkle your glitter over the top. The glitter should settle into the coating before it has a chance to set, but with the second option you do risk having some glitter sitting on the top after it has dried. 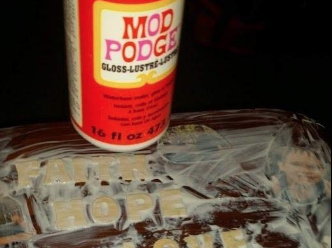 This means you need to let it cure and add a second coating, but you should make sure that none of the glitter pieces are loose before adding your second coat. To remove loose glitter, you can use a vacuum, but you need to avoid contact between the wand and surface area. Once the first glitter layer is applied and cured, you cannot change it. Another fun idea is to paint your surface with a dark color, which will ensure that the glitter really sparkles brightly in contrast. Most that are researching marine applications and epoxy is for repairs, upgrades and restorations. 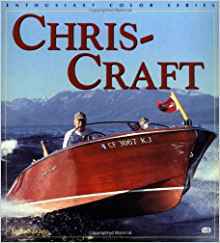 The most familiar application that many will remember is on the older style Chris Craft wooden boats. However, even newer fiberglass applications use a form of resin & curing agent coat surfaces. The application for using marine grade resin is similar to the other above. One of the biggest differences is to make sure that the product is suitable for marine environments. 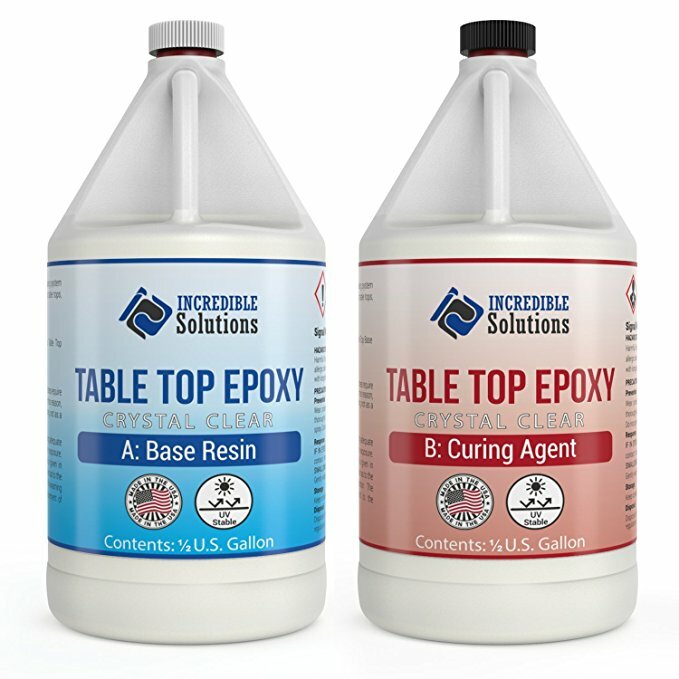 Additionally, many marine applications may call for different mixing ratios when compared to something like table top epoxy. 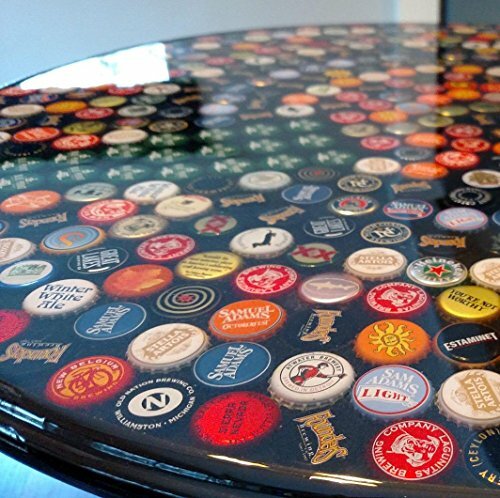 People have found a multitude of creative uses for epoxy. It can be used to encapsulate sea shells or pictures in a table top or a shelf for your bathroom vanity. There are also those whom make penny table tops and bars. Bottle caps, license plates, and all other treasures can be displayed without you having to worry about water, sun, or people causing damage. This can also be useful when you want to decoupage a small wooden box lid. If you want to create a dream bar for your man cave, you may collect several different beer boxes and cut them up so they will lay flat on your bar top. You can then pour epoxy over them. 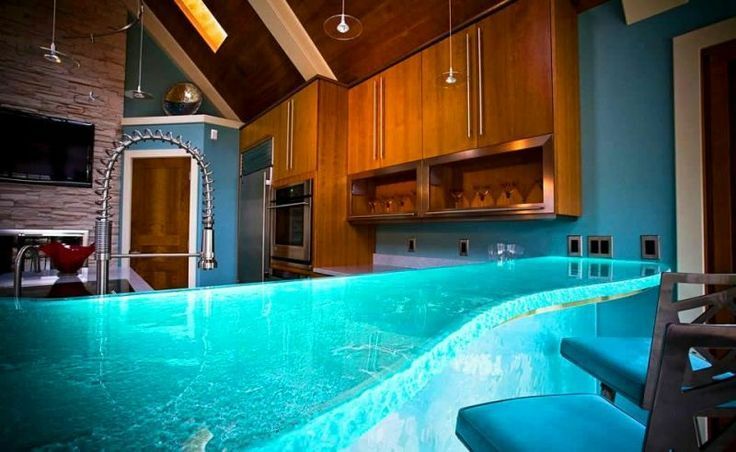 This will give you a conversation piece and make your wet bar one of a kind. People who create mosaic pieces can create tables or chairs, photos, and decorative designs on their projects before applying epoxy over it. If you are someone who loves to paint artwork onto furniture or jewelry boxes, you can paint with acrylic paints and cover it in a protective layer. There are people who use epoxy to create jewelry. All it takes is a mold and something interesting to put inside of the mold. It may be glitter or tiny dice, a favorite quote or a gemstone, or anything else you can imagine in a necklace. Epoxy can be used on wood if you create a floor with a unique pattern. It will save you from having to deal with wear and tear, even in high traffic areas. The same wooden slabs in a pattern can be used on counter tops, tables, or bars. If you want to create a paperweight or a bookend, you can use a mold and imitation flowers, glitter, and other items. Pour the epoxy in around your flowers or fishing hooks and in a few hours, your one of a kind creation will be ready for you to display proudly. Some people purchase dye to put into the epoxy. This will take it from clear to slightly tinted. If you are using a light-colored wood or concrete, you can make swirls of color that will look amazing. Some people may also use glitter in their bathroom or on a table in their bedroom. In short, if you have an idea or a desire to create something beautiful, epoxy can make it a reality that looks great. It also ensures that you can use the artwork that you create and not have to worry about scuffs, scratches, dents, and other things damaging it.